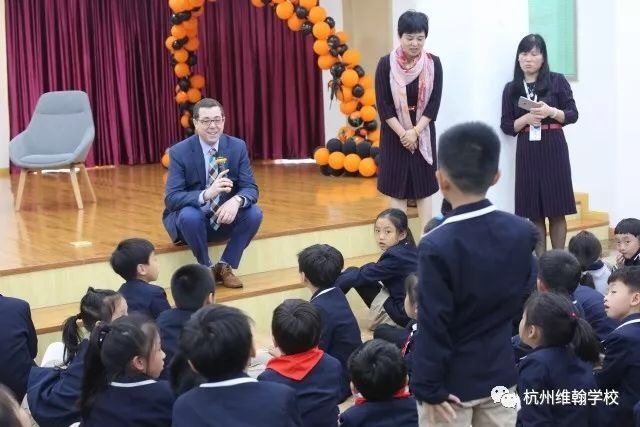 Our incoming Head of School spent the first half of April with sixty-four of his students from International School of the Peninsula at six different sites in China and Taiwan. Soon, he'll be traveling with PKS students! 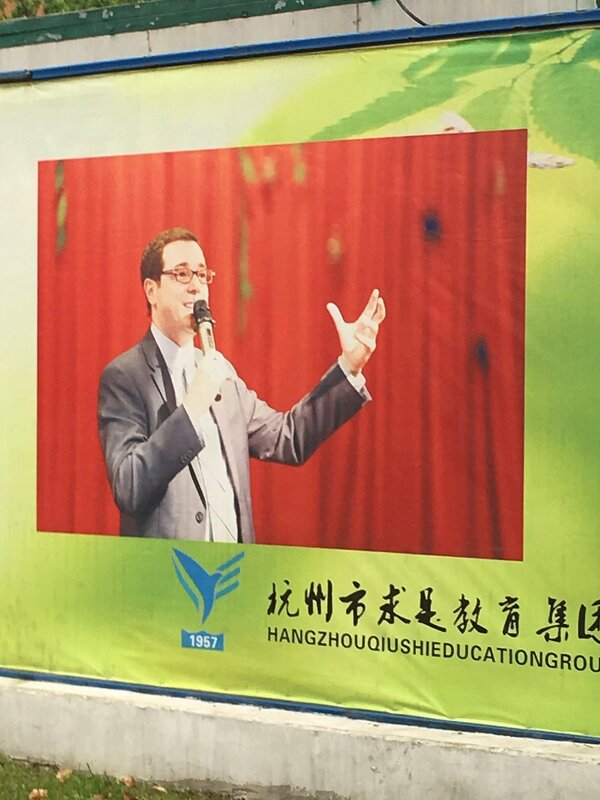 While in China, Chris had the opportunity to give several talks and explore possible avenues of collaboration with a number of schools and universities in Shanghai and Hangzhou, including East China Normal University, which hosts one of the largest and most prestigious training program for teachers of Chinese in all of China. He also visited a number of schools that are eager to partner with PKS on exchanges of students and teachers, collaboration on curriculum and instruction, and joint projects or experiential learning opportunities. "I was thrilled thrilled to have this first opportunity to be an evangelist for PKS in the PRC!" says Chris. Upon his return, Chris was a featured speaker at the “Bridging Cultures through Language” Speaker Series at the Middlebury Institute for International Studies at Monterey, where he also signed copies of his latest collection of essays from Asia Society entitled New Ways of Seeing. Chris also joined a panel of linguists and other language professionals discussing the integral relationship between language and culture, and the ways in which we can build intercultural competency through second language learning, following on from his remarks at last summer’s Aspen Ideas Festival. "I am looking forward to spending more time at PKS in May and June, and to speaking on similar themes at this year’s National Chinese Language Conference," noted Chris. The conference, run jointly by Asia Society and the College Board, was chaired by Chris from 2008 to 2013. It will certainly be a busy spring for Chris: he will also appear on a panel of Bay Area Chinese immersion Heads, and continue to support his former team from Asia Society as Senior Advisor for China Learning Initiatives and liaison with the Chinese Ministry of Education.